TOETOE looks at the projects, the players and the practices (PPP) that are iterating toward openness in English language education. The TOETOE vision takes us beyond the norms of language presentation, practice and production (using exclusively All Rights Reserved published materials) toward open educational practices using open platforms, open publications and openly licensed tools and learning resources. TOETOE stems from an on-going collaboration with the open-source FLAX Language project at the University of Waikato in New Zealand. In 2011 TOETOE became a UK government-funded project managed by the Support Centre for Open Resources in Education (SCORE) at the Open University and with the English Language Centre at Durham University. In 2012 the project entered a new phase as TOETOE International with the University of Oxford Learning Technologies Group with further grant funding from the UK Higher Education Academy’s Open Educational Resources (OER) International programme in collaboration with the UK Joint Information Systems Committee (JISC). TOETOE International and FLAX developed tools and interfaces for opening up and linguistically enhancing Oxford-created OER from the OpenSpires project in the form of lecture podcasts and Oxford-managed research corpora, including the British Academic Written English (BAWE) corpus and the British National Corpus (BNC), for the purpose of making these Oxford-based resources more accessible to international language teaching and learning audiences. TOETOE is currently engaged in research and development with the FLAX project as part of Alannah Fitzgerald’s doctoral research at Concordia University in Canada. This research has been supported through an Open Fellowship with the Hewlett Foundation-funded Open Educational Resources Research Hub at the UK Open University, and is further supported by the UNESCO Global OER Graduate Network (GO-GN), and a doctoral dissertation grant from The International Research Foundation (TIRF) into English Language Education. This research and development collaboration resulted in FLAX being awarded the first place prize for the 2014 LinkedUp Vici Challenge for designing and developing advanced tools for educational purposes that are driven by linked and open data. In 2016, FLAX was awarded the runner-up prize in the British Library Labs competition for the reuse of digital collections in learning and teaching with the FLAX PhD Abstracts collections. These academic English collections are derived from PhD theses managed by the British Library’s Electronic Thesis Online Service (EThOS) . 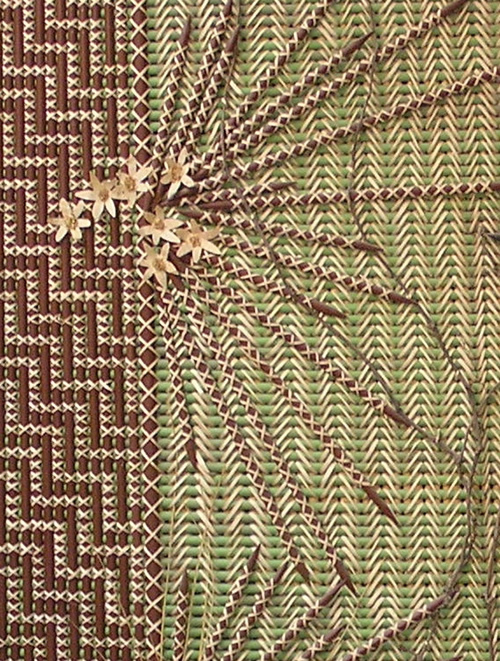 Within traditional Maori culture toetoe stems are taken from the plumed grass plant and like flax stems are woven into tukutuku panels which commonly adorn meeting houses, telling stories through their intricate designs and educating one generation to the next. I am an open education practitioner and researcher. Being somewhat nomadic, I have gained experience and understanding from learning, teaching and researching across different educational contexts, including Higher Education institutions in the United Kingdom, Canada, Korea, and New Zealand (my country of origin). Increasingly, I have been drawn to devising and delivering online language learning interventions that can be scaled and assessed across both formal and informal education. This blog belongs to Alannah Fitzgerald and whilst she appreciates the support of her friends and colleagues at different institutions and organisations around the world, she is clear that on this WordPress-powered website she speaks only for herself.